Raspberry Pi Internet Radio and MP3 Player @Raspberry_Pi #PiDay #RaspberryPi « Adafruit Industries – Makers, hackers, artists, designers and engineers! Fun project by Granpino based on our learn system guide up on Hackster.io. This internet radio and mp3 player uses a 3.5 HDMI LCD touch screen for operation. The original project was published by Adafruit. 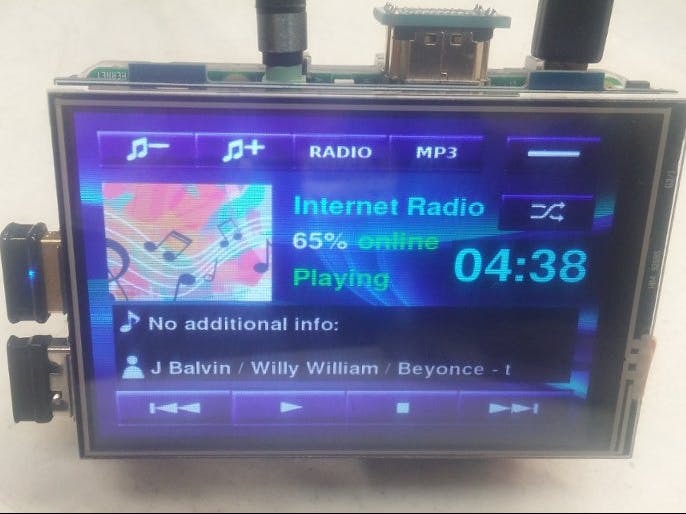 https://learn.adafruit.com/raspberry-pi-radio-player-with-touchscreen/overview The project uses MPC , MPD and Pygame.